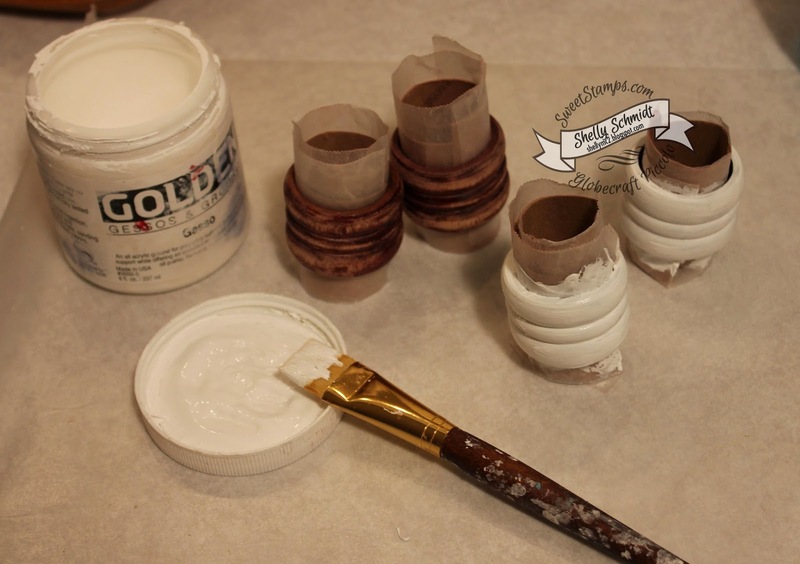 For the Anything but a Card challenge this week, I altered some Napkin Rings- I bought them at a resale shop for $1.00. 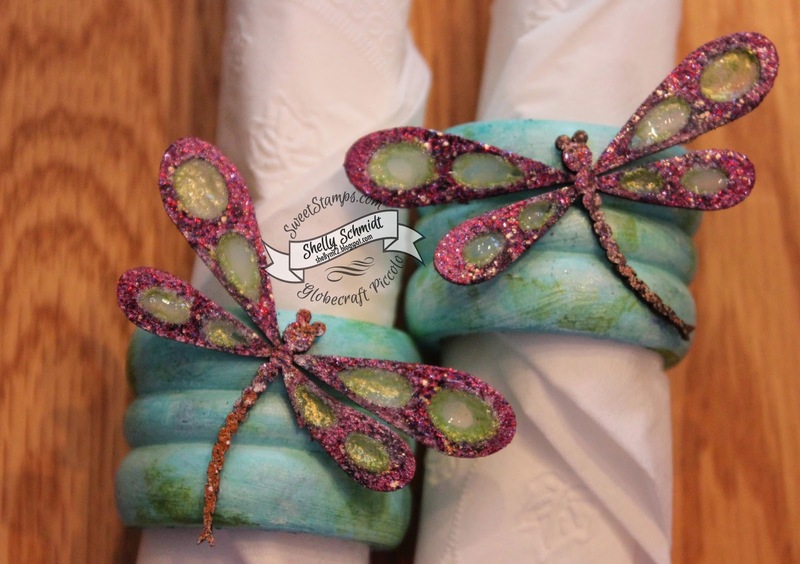 While that dried, I embossed the dragonflies with Enamel EP- Brownstone in the centers and Girls Night Out on the wings. I filled 2 of the wings with Crystal effects, then sprinkled on Sugar Sand. The other 2, I used Stickles Glitter Glue and sprinkled on Sugar Sand. So, the glitter glue shrunk and left holes in the middles of some of the wings, so I added Crystal effects to the open areas. I added the liquids to the wings on the craft mat and let them dry overnight. Where the holes were from the glue shrinking, I added Crystal Effects and let it dry. Finally, I added Inka Gold 'Yellow.Green' on the top- painted on with a fine paintbrush. We hope you will come join us for the challenge! So wonderful, Shelly!!! I love recycled items, this is so awesome. Those enamel dragonflies are spectacular! 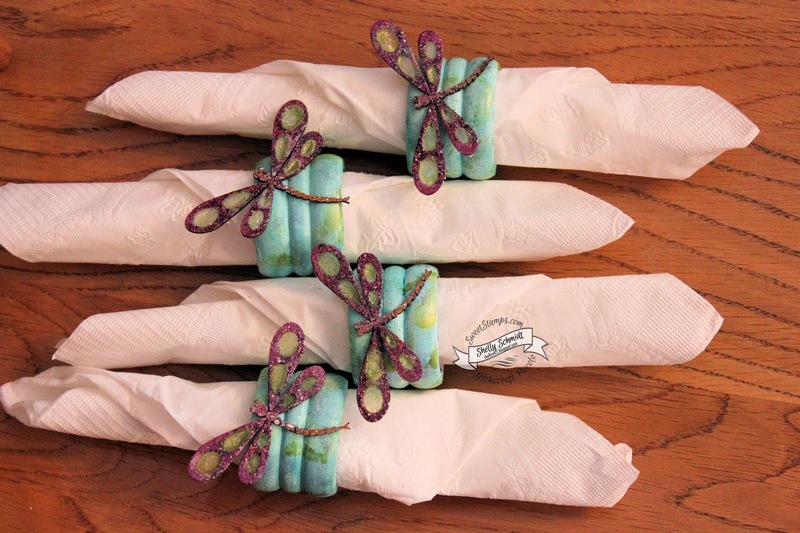 What a cute idea for the napkins rings, I love the added dragonflies.